Friday, September 19, any landlubber who dares to enter a participating Krispy Kreme(R) US locations and talks like a pirate will score one free Original Glazed(R) doughnut. To the swashbuckler who wears full pirate attire goes a bounty of one FREE dozen Original Glazed doughnuts. Offer good on International Talk Like a Pirate Day, September 19th, only. Some restrictions apply. Visit KrispyKreme.com for more information. Offer good for one free doughnut per customer who wears an eye patch or talks like a pirate to a Krispy Kreme team member at a participating shop. One free dozen Original Glazed doughnuts per customer who wears a full pirate costume into a participating Krispy Kreme location. Redeemable on September 19, 2014 only at participating Krispy Kreme US locations. Connect with Krispy Kreme at KrispyKreme.com, HotLightApp.com, Facebook, foursquare and Twitter, and KrispyKremeDoughnuts on YouTube. 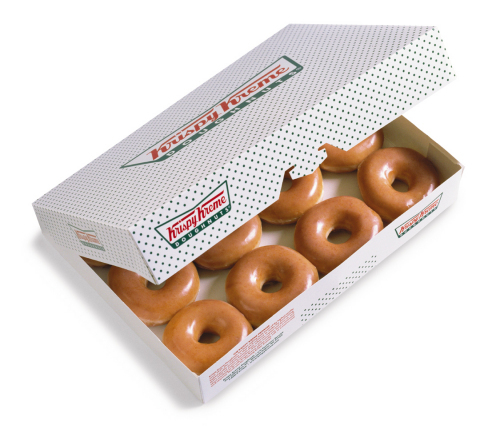 Krispy Kreme is an international retailer of premium-quality sweet treats, including its signature Original Glazed(R) doughnut. Headquartered in Winston-Salem, N.C., the Company has offered the highest-quality doughnuts and great-tasting coffee since it was founded in 1937. Krispy Kreme is proud of its Fundraising program, which for decades has helped non-profit organizations raise millions of dollars in needed funds. Today, Krispy Kreme can be found in over 850 locations in more than 20 countries around the world. (NYSE:KKD) is listed on the New York Stock Exchange. Visit us at www.KrispyKreme.com.